As with most cannabis jobs, however, qualified candidates are hard to find, said Jacob Wagner, dean of student services at the Cleveland School of Cannabis. The school, which launched in January 2017 in suburban Cleveland, offers a variety of cannabis certificate programs that have been approved by the Ohio Board of Career Colleges and Schools. Prices range from about $6,500 for a single major to $12,500 for the “executive package,” which includes a business component and instruction on how to start your own cannabis business. Companies have been actively recruiting from the school for months, and a handful of graduates have already been placed with firms across the state, Wagner said. But many of those firms aren’t likely to be fully operational until well after the official Sept. 8 start date for Ohio’s Medical Marijuana Control Program. Only a handful of the more than 100 licensed cannabis businesses in Ohio have received the regulatory approval necessary to begin manufacturing, distribution and retail activities. As a consequence, state regulators have acknowledged that medical cannabis won’t be available for sale when the program launches. So far, only one of the 25 licensed cultivators in Ohio has set a delivery date for the first medical marijuana products. Buckeye Relief in Eastlake, Ohio, said it will have products available for delivery to dispensaries by the end of the year. While the delay is a setback for medical cannabis patients and their caregivers, it may have a silver lining for job-seekers: “As terrible as it is that the program will be delayed, it means people now have more time to get the training and experience they need to get those cannabis jobs,” Wagner said. 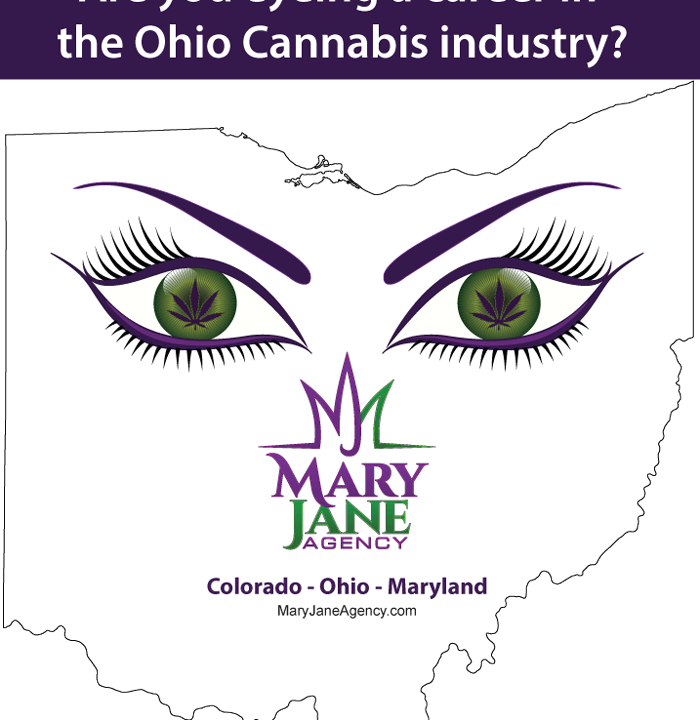 BDS estimates the medical cannabis industry in Ohio will generate close to $300 million in annual sales by 2022, and directly employ more than 6,000 workers. That doesn’t include indirect employment by security firms, transportation companies and others supporting the legal cannabis industry. Nationwide, the cannabis industry is expected to create more than 400,000 jobs by 2021 and generate $40 billion in annual sales, according to BDS. But employment in Ohio will be tame compared to states that have legalized marijuana for both medical and recreational use. For example, Colorado, which was the first state to legalize cannabis for recreational use in 2012, has more than 20,000 workers in the cannabis industry. They support a medical and recreational cannabis market in which sales totaled more than $742 million in just the first six months of this year, with recreational sales accounting for more than two-thirds of the total, according to state’s department of revenue. 1. The skills and degrees needed to land cannabis jobs vary. Some require cannabis training and experience working in the industry. Others simply require traditional job skills like accounting and office management. 2. Most jobs are off-limits to people who have drug felonies on their criminal records. 3. Federal labor laws don’t apply to most cannabis enterprises, so employers aren’t required to offer health insurance and benefits unless the state mandates it. 4. Many workers come into direct contact with cannabis plants, which may be a liability if you’re subject to drug testing on another job. 5. You might think you’re shoe-in for a job because of your years of experience growing or selling cannabis on the black market. But job candidates that tout that background could hurt their chances of landing a job in the legal industry.